Looking to join the fight for Mega Man Legends 3 but don't know where to start? 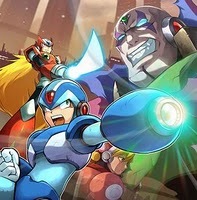 Fret not: the folks behind MegamanX9.com have opened the doors to Legends3.com, a central hub that directs fans to the core campaigns aiming to reinstate Legends 3. Simple, seamless, and convenient. This single webpage currently redirects you to four core campaigns: Get Me Off The Moon, the Capcom Unity Petition, Become a Servbot, and Christian Svensson's Legends 3 opinion thread. Four different campaigns, united under a common goal. It is in your best interest to invest time in each, so do check 'em out when you've got some time. More over, you are encouraged to get the word out about Legends3.com. Not just to friends and family, but now's the time to start relentlessly pursue coverage in the bigger media outlets about our efforts. Capitalizing on other gaming outlet's audiences will help increase the petitions' numbers dramatically. Heck, Get Me Off the Moon's success today is due in part to branching out to GamePro, whose audience contributed to today's 35,000+ members. Imagine our footprint if we headline Kotaku, 1Up or G4 even. Increasing our numbers is key to success and you, as an ambassador of sorts, can make that happen. We realize there are other campaigns and efforts not included on Legends3.com. We'll get to adding those, of course, but for now please give an equal amount of attention to Legends Never Die and the recently established Tanomi.com effort. Legends Never Die continues the snail-mail campaign which began mere hour before Legends 3 was cancelled, while Tanomi aims to collect personalized messages from fans around the globe. It truly is amazing how quickly we're organizing all of this, and for that you have my respect. I'm doing all I can on my end and I look to you to do your part as well. We're going the distance here. We'll see this one to the end, together, as a community. Back in November, a wave of new copies of Mega Man X Collection were released throughout North America, exclusive to GameStop and Amazon. While the game itself was exactly same in terms of content, the reissued 2010 version touted a budget $20 MSRP and brand new, eco-friendly packaging. As it turns out, Amazon just obtained another batch of fresh X Collection copies, slashing the price down to $12.86. Nice, eh? Well, it gets better. Amazon associates are offering new copies even cheaper. How's $7.82 sound for ya? Pretty slick deal, if you ask me. Mind you, there's no indication how many copies are in-stock, so you may want to act on this deal quickly before things deplete. Unfortunately, I've no word on a reissued GameCube version. Amazon continues to sell the GC version for a staggering $75, with used copies starting at $24 and up. Just as it was in November, reprints are strictly limited to PlayStation 2. I'm not entirely sure why, but one theory I've heard is there's generally more of a demand for the PS2 version. Anywho, if you don’t already have the originals or missed X Collection the first time around, you may want to consider investing in this deal while you can. Thanks for the tip, Rabidrodent! 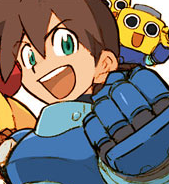 If you're one of the many rallying for Mega Man Legends 3's reinstatement, you can take heart that someone directly involved with the game is on your side. Legends 3's programming director Yoshiyuki Fujikawa tweeted some words of encouragement to fans on his Twitter today, saying that he's "personally interested in seeing how things turn out." If you've done all of those, then this is your current task: send tips about the campaign(s) to gaming news outlets. We're talking about the big guns like IGN, GameSpot, G4, Kotaku, etc. The more sites that cover the campaign, the better our chances of increasing our plight's footprint. 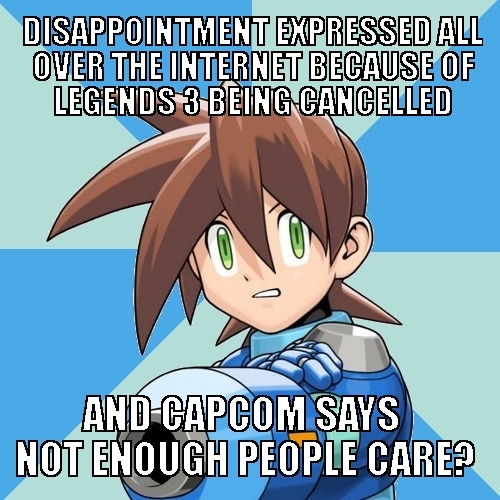 All Capcom wants is to see a demand for Mega Man Legends 3. The above outlets are already pretty successful, but for them to reach their maximum potentially, you've got to join in and do your part. I simply can't stress that enough. UPDATE: Well, this is odd. Following mainstream exposure of this story, Fujikawa's Twitter closed. Weird. The album will consist of a number of arranged songs from both the classic and X series, priced at 2,100 Yen (roughly $27.00 USD) and due out on September 21. Chances are slim to none of this one getting an official release worldwide, so do keep an eye out on import retailers... or wait for the inevitable rip to appear on YouTube. Don't know about you, but I like what I hear. Looking forward to the final product! Mega Man Legends 3: Prototype Version may be down and out for the count, but the Nintendo 3DS will soon have itself another Mega Man game, albeit a slightly older one. 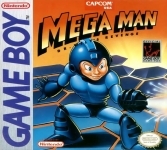 Mega Man: Dr. Wily's Revenge, the portable classic that kicked off the famous Game Boy sub-series, has been officially rated by the Entertainment Software Rating Board. The classification is noteworthy in that the game will soon be headed to the North American eShop, perhaps within a matter of weeks. We've no indication how much the game will retail for on our side of the pond, but Game Boy classics run from anywhere between $2.99 and $3.99. Not too shabby; couldn't hurt to set some of that aside. Hopefully, Dr. Wily's Revenge's eShop debut means the entirety of the Game Boy series will hit the service. It's not necessarily compensation for the lack of Mega Man Mania, but it'll hold you over. 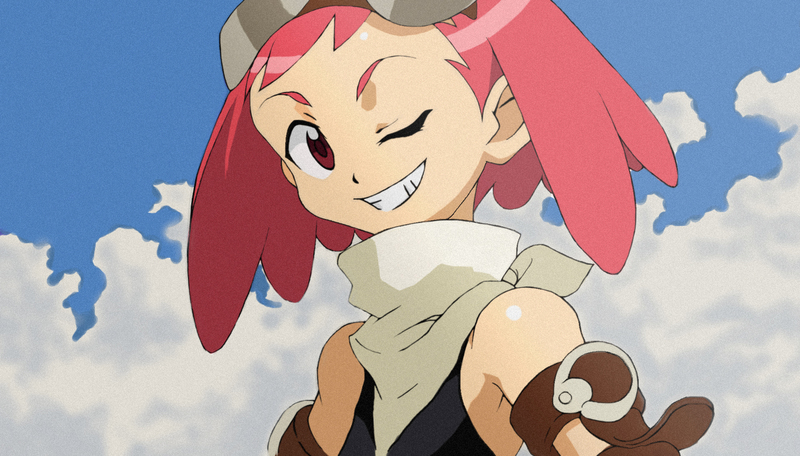 Can 100,000 Fans Revive Mega Man Legends 3? 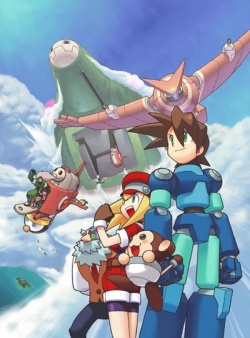 In the wake of Mega Man Legends 3's death, a vast number of campaigns have popped up all over the web, each focusing on getting Legends 3 (or Prototype Version, at the least) back on its feet. At the nexus of these campaigns is the 100,000 Strong For Bringing Back Mega Man Legends 3 Facebook group. Just a day after its inception, the group has amassed nearly 10,500 members (as of this writing). It's not at that magic number yet, but at this rate, they'll arrive at their goal in no time. Amazing to think the Devroom, after nearly a year, could only muster 15,000 members worldwide. Capcom, I think we're onto something here. If 100,000 members is synonymous to the number of people who intend to purchase Legends 3, let alone download Prototype Version, then we're looking at a pretty successful pay-off. Mind you, Legends 3 was never intended to be a big budget production, so that number is likely to re-coop fairly low development costs. It is the hope of many Capcom will proceed to relaunch Legends 3 if the group reaches its goal. However, Capcom has yet to acknowledge the campaign, let alone acknowledge the immense backlash that's ravaged the net these past few days. Regardless, if you own a Facebook, by all means join the group. It's a worthy cause that deserves your attention. If Legends 3's cancellation wasn't bad enough, the past day also brought bad news for fans in the form of Mega Man's absence in Ultimate Marvel Vs. Capcom 3. A little over a day ago, the entire 12 character roster was leaked, and the blue boy was nowhere to be scene. 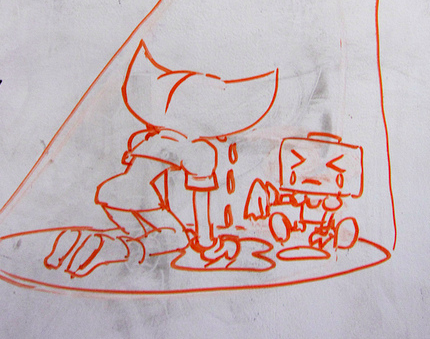 The decision bewildered everyone, adding mere salt to the wound ruptured by Mega Man Legends 3. "I’m sorry, there is no Mega Man in Ultimate," Niitsuma apologized. 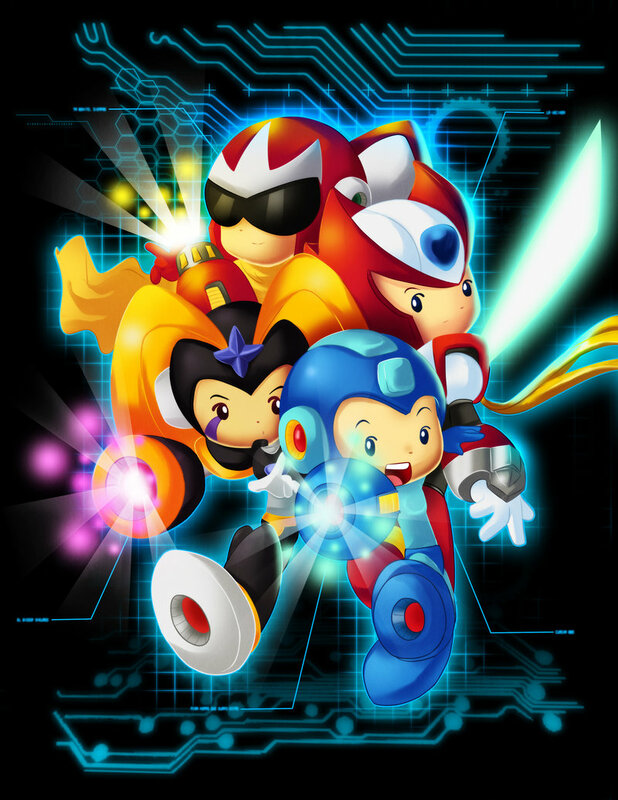 "We had a lot of requests from fans for Mega Man or at least one of them to be in the game. Out of all of the requests we got for Capcom characters, he just didn’t enter the top part of the ranking. Unfortunately, he didn’t make the cut." I'm a bit puzzled by Niitsuma's last remark, "he just didn't enter the top part of the ranking." Oh, yes he did. 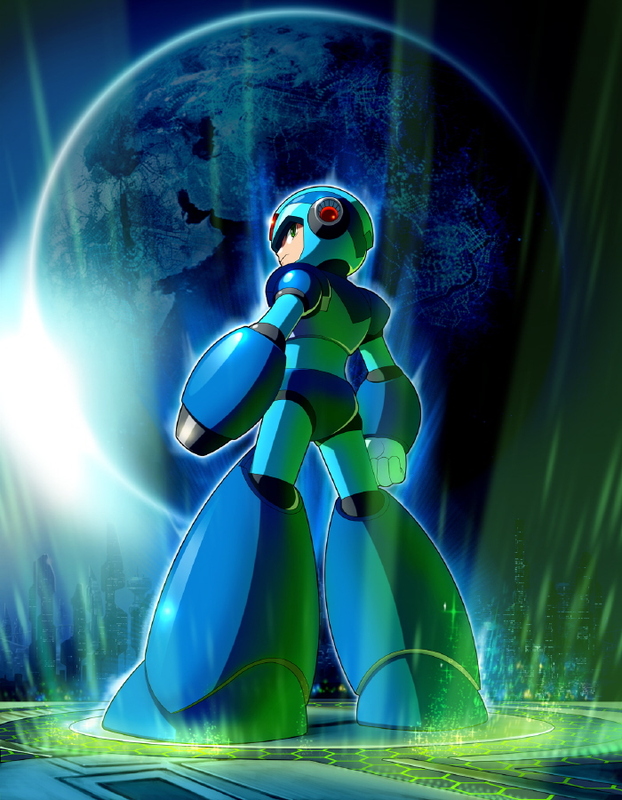 If you may recall, Mega Man X topped the fan community-driven DLC poll, clocking in at #1 on Capcom's turf. Curiously, Capcom chose to include the second and third most demanded characters, Phoenix Wright and Strider Hiryu respectively, all the while dismissing X.
I honestly have no clue where to stand on this. This whole week has been littered with disappointment after disappointment. It's just non-stop. The worst part of all? Nothing makes sense. No one has stepped up to the plate to rectify the problems at hand -- no one, yet, has given us a satisfying and concrete explanation behind anything. I dunno. Maybe we'll get some sort of good news during Capcom's panel tomorrow. I really, really hope this one isn't true. Yes, Capcom has every right to take the measures needed to protect themselves, but this seems a little extreme. Confiscating badges? Really? I can see this being the case if one were to exhibit unruly behavior, but..
For now, we're marking this as a rumor. If you have substantial proof that this is happening, please contact me. Video footage would be ideal, mind you. If you are attending Comic-Con, I ask you to please represent our community respectfully. 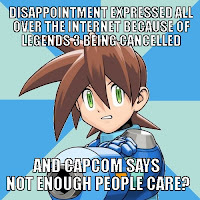 I understand you are angry, but if you intend to support Mega Man Legends 3 in any way, do so appropriately and with class. Violence and outright inappropriate behavior directed towards Capcom staff will get us nowhere. UPDATED: According to a Tweet from Capcom Unity, it's false: "We welcome all cosplayers to our booth at Comic-Con. Anything else you've heard is outright false." And no, Seth Killian wasn't assaulted. No fear, guys. Proceed to visit Capcom's booth! 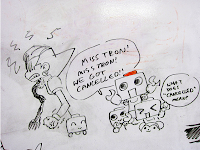 Joining fans and Inafune in lament, Reverge Labs, the developers behind the upcoming 2D fighter Skull Girls, took to their white boards to vent frustration in Capcom's choice to cancel Mega Man Legends 3. The art may be spiffy, but that's not the best part. RL headmaster Peter managed to squeeze in a little swipe at Capcom. "…Sad. So sad our artists are. 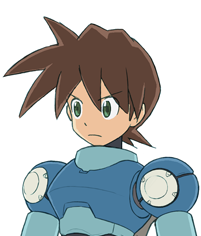 They’ll never get to play Mega Man Legends 3 because, you know, the fans didn’t make enough art or program enough of the engine. Stupid fans – here’s some art to make you feel bad for what you didn’t do." Not entirely satisfied with Capcom's reasoning for ditching Mega Man Legends 3, fans are taking the fight to Twitter in an effort to squeeze out the real reason(s) behind the game's death. Beginning with a lone Tweet from @dk_lance directed at Capcom Europe, the "truth" comes out... And it's not pretty. @dk_lance writes, "I’m sad to know Legends 3 was cancelled for 3DS. 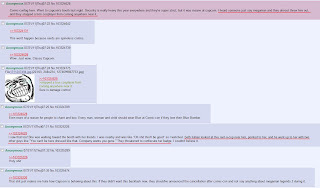 Someone making decisions at Capcom’s R&D HQ should get fired…" A legitimate, and well founded plea. What say you, @CapcomEuro? "unfortunately so few fans took part in the creation of the game. It was felt the project was not worthwhile :-( "
Wait, what? The blame game is in full swing, and we're on the other end of the barrel? 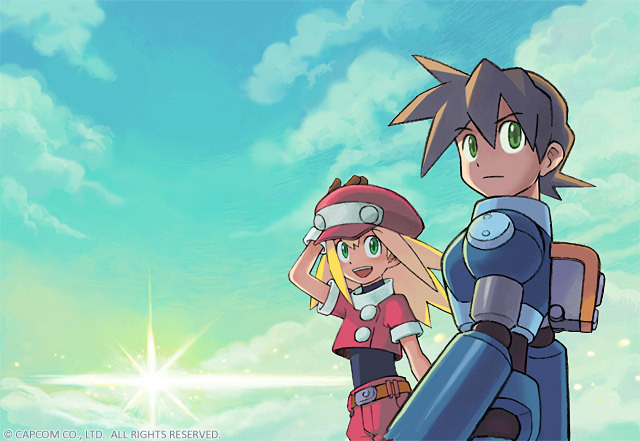 Although Mega Man Legends 3's cancellation took place long after his departure, Keiji Inafune felt obligated to issue an apology to the fans and Devteam staff on his official blog today. To the staff members, Inafune writes "The decision for the cancellation was out of my sphere, but as someone who took part in the development, I'd like to convey something to the staff: I'm sorry that I couldn't be of assistance." 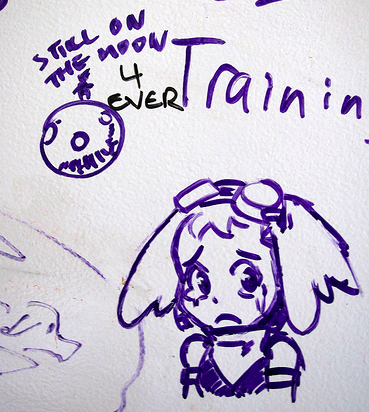 Saddened, Inafune was taken aback by the staff's tremendous motivation to continue the project without him. Nevertheless, he goes on to encourage the staff to continue to make a better game. To us, the fans: "I'm truly sorry I couldn't take part until the end." The former project leader professes he is one of us -- closely watching the game's progress from the sidelines as a fan, and shares in our mourning. "I didn't buy a 3DS for this project, but at the very least I'd like to have played the demo." Well here we are. 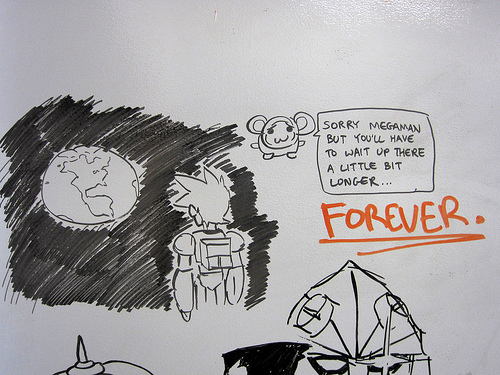 Just a little over twenty-four hours now since Mega Man Legend 3's official cancellation. The past day has been grueling, I know. Nobody is happy. All of us, for the most part, are in mourning. Deep down, we knew this was coming, but we didn't want to believe. I certainly didn't. My initial optimism clouded rationality, I admit that. But it was only a few days before yesterday that it hit me: Legends 3 was in trouble. Big trouble. Sharing in these sentiments, Heat Man, Dashe, and myself quickly set out to kick start the Legends Never Die campaign. In a cruel twist of fate, the game was cancelled just hours after LND launched. Hours. 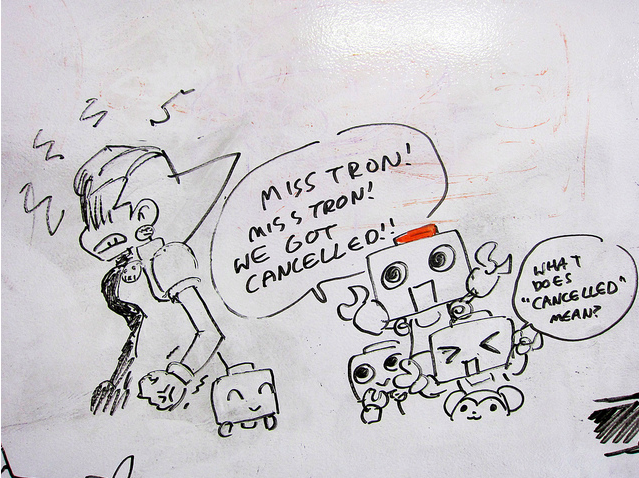 I spoke a little of my feelings surrounding L3's cancellation at Ask Capcom the other day. However, I've had a chance to wrap my head around things, so here's more of my spiel. You can imagine how we were feeling when the headline hit. It cut deep. I, personally, can attest to being one of those fans who legitimately waited ten years for this, so news of MML3's cancellation certainly hit a soft spot. It's still difficult for me to describe how I am feeling. Angry? Disappointed? Helpless? It's a mix bag. 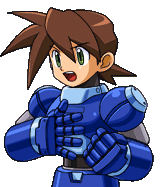 "We'd like to thank you for your ongoing loyal support of Mega Man Legends 3. Today, however, we must regrettably announce the discontinuation of this project. 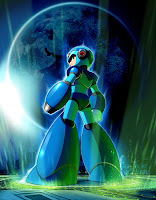 We thank you all so much for your extended support of this title and this community, and we hope that you will continue to support the Mega Man franchise as well as other Capcom games." If you've any questions, please see the official FAQ at the Devroom. An air of uncertainty has nestled within our midst. A looming, ominous fear of the unknown has set our community ablaze, incited by a series of events surrounding the future of Mega Man Legends 3. There's no denying it: things have quieted down on the Legends 3 front. While we're confident in its progress, there is certainly some concern about what's going on with the game, and it's left us on the edge of our seats. If you feel the same, then we've got a mission to carry out. Welcome aboard, friends, to the Legends Never Die campaign, a massive, joint operation between myself, Legends-Station, and The Mega Man Network. Our goal is simple, albeit powerful. 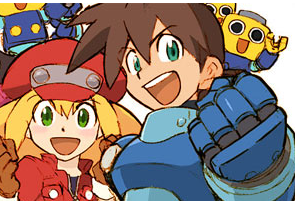 Together, as a community, we will keep Capcom aware of how much we want MML3 and ensure it remains in the spotlight. Let it be made clear, we are not afraid about the game being cancelled, no; we are simply closing off any route that might lead to that outcome. As Devroom members, our responsibilities go far beyond thinking of ideas and responding to the Devteam. We are marketing, we are PR, we are consumers, and most of all, we are fans. Your mission, should you decide to accept it, is to snail-mail Capcom. 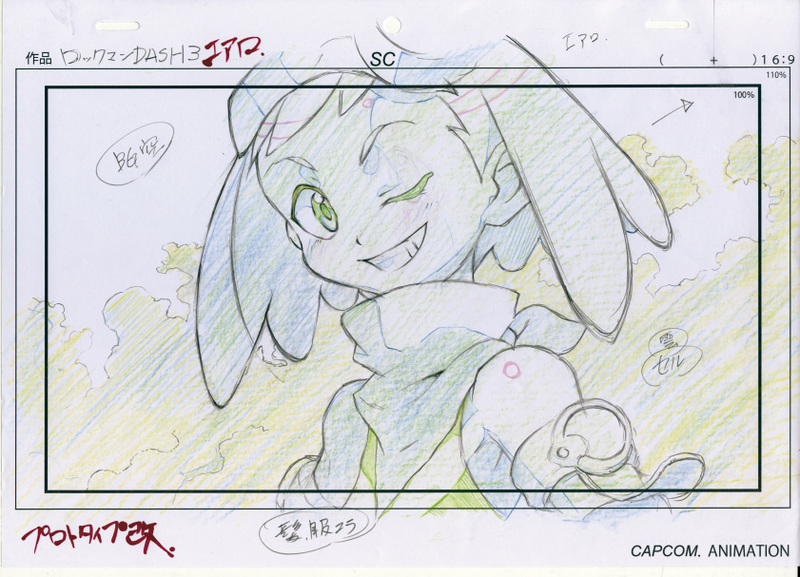 Using pre-designed postcard templates, we are tasking you to mail Capcom your demands to see Mega Man Legends 3 completed. The postcards are your vehicle to Capcom's offices. They will get to the hands of many higher-ups, so you've got to make your message clear and powerful. Personalize it. Pour your heart and soul into it. 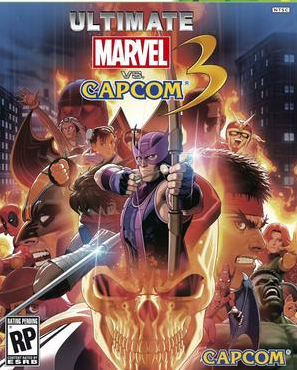 You've waited a little over a decade for this thing thing; show Capcom just how much you want Legends 3 to happen! "But there’s more to a game than raw innovation, and what Legends lacked in polish -- and here its creators clearly lacked the resources and talent of the nascent Kojima Productions and Nintendo EAD -- it more than made up for with its boundless spirit of adventure. More so than any other game before it, and frankly more than just about any game since, Legends was an interactive 3D rendition of the kind of light-hearted action anime that Japan just doesn’t produce anymore. We’re not talking high art, here. More like classic Slayers, or even mediocre fare like Final Fantasy: Legend of the Crystals. 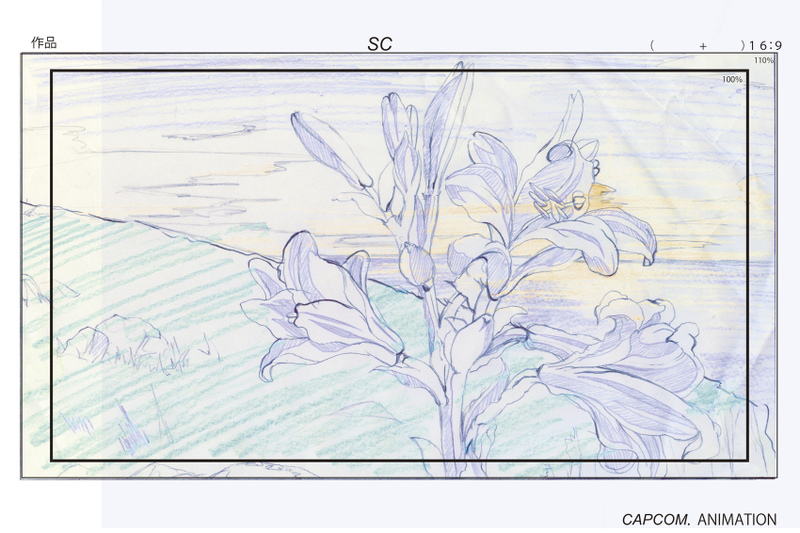 The sort of optimistic, carefree sense of wonder that even Hayao Miyazaki doesn’t really do anymore. " 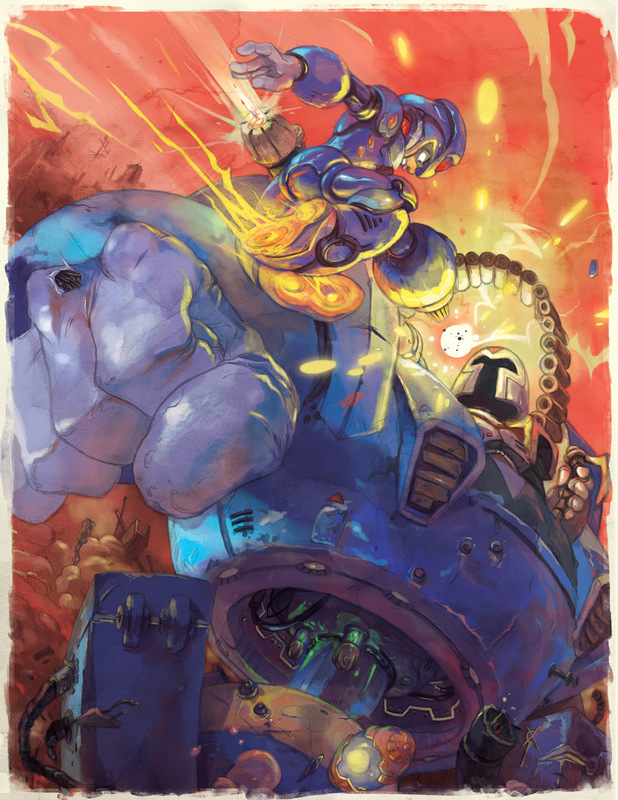 Parish's retrospective examines every facet of Mega Man Legends -- it's characters, world, and themes. Those elements make up one of the most underrated and significantly ignored stories of the last decade, and Parish's retrospective does a fine job of putting that fact into perspective. If you've got some time on your hands, I highly recommend you give the article a read at 1UP. I'm curious where you stand on this: do you share in Parish's sentiments? Did Legends resonate with you in some significant way? Feel free to sound off in the comments. Every once in a while, one of my readers comes across an unlicensed product that cashes-in on the image of the Blue Bomber. More often than not, these knock-offs take the form of toys -- cheap, plastic trinkets that litter the aisles at your run-of-the-mill dollar store. What makes these finds so fun is the crudely traced illustrations that adorn the packaging, usually taking the form of mutilated versions of the series' most popular characters. Today's find is no exception. 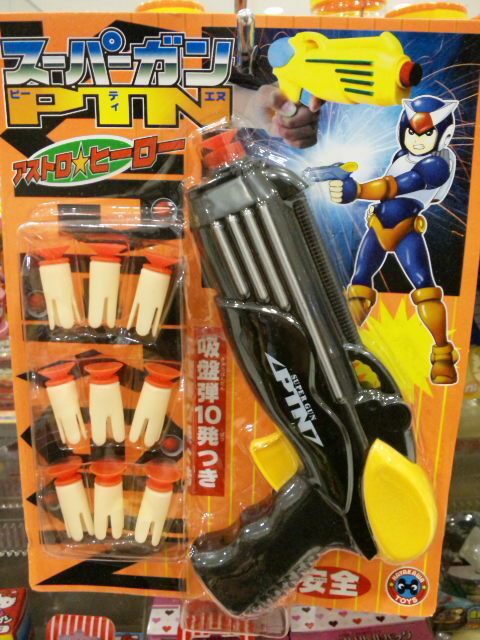 You can't go wrong with a good ol' fashion dart gun, but that Mega Man thing wreaks all kinds of wrong. The pistol-wielding hero certainly looks like Mega Man, but he's actually made up of a variety of parts from different characters. From the looks of it, the frame is heavily inspired by elements borrowed from Cyber-Elf X, a pinch of Leviathan, and a dash of other traits predominately found in the Zero series. Oh, and you gotta love that pose. It's so... aloof. He's just resting his right arm on his hip like it's no big deal, shooting at whatever. 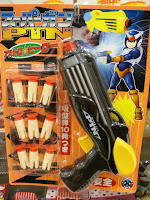 My fascination with bootleg merchandise has shown us a lot of crazy things, and while Frankenstein Mega Man here certainly isn't the cream of the crop (that honor goes to Deflox Mega Man), it's a noteworthy addition to the wide and ever-growing world of Mega Man knock-offs. I'm all for sharing more of these oddities and should you ever come across one, please give me a holler! Thanks for the submission, Matthew. Are you attending this year's San Diego Comic-Con? Then you'd best make haste and head on down to Bandai's booth ASAP. 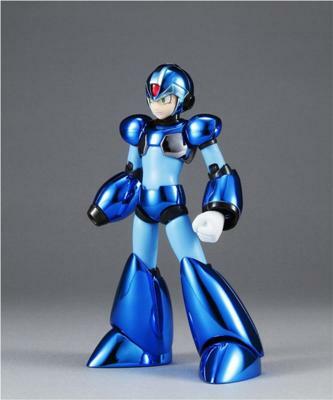 This year's exclusive is none other than a delightfully awesome Metallic Mega Man X D-Arts, courtesy of Bluefin and Tamashii Nations. The articulated figure boasts a shiny coat of blue-metallic armor... even the packaging is shiny! Inside the box, you'll find a handful of accessories: a set of X-Buster blasts, rotating triple-shot effect parts, detachable hands, and two interchangeable faces. You can check out a boatload of pictures of the figure in action via Rockman Unity, where Bandai's Adam Newman was on-hand to exhibit X before Ucchi-san and Capcom heads. Metallic X's exclusivity to the U.S is said to be a gesture to Tamashii Nation figure fans who weren't able to purchase the many Japanese exclusives of years past. Further, the very existence of the metallic figure is due to the immensely positive reception Bandai has received from the U.S market. If you're attending SDCC, I'd taken advantage of the offer. You'll be able to purchase the figure when Comic-Con kicks off on July 20 at the Bluefin/Bandai Booth (3545). Get him while supplies last! Kinako: For those who don't know, "Hippopotamus" is one of the answers you can select when the junk shop owner asks you your name in the first Legends game. If you tell him your name is Hippopotamus, he believes you right off the bat, and will keep calling you that throughout the entire game! One of the more striking quirks around town, could it be that this, too, was the work of you, sir?" Kurosawa: I do believe it was! I still vividly remember putting that in the game myself, but it was such a long time ago that I suppose my memory might be playing tricks on me. Anyway, about that hippo gag. 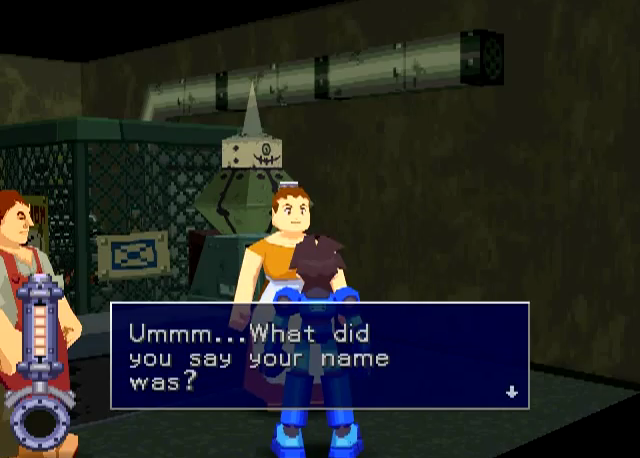 Normally, it's the kind of gag where you'd have the NPC (non-player character) call you "Hippopotamus" once and then he would make you tell the truth: "No more jokes, tell me your real name." Either that or you'd place the gag somewhere that you wouldn't be visiting repeatedly like you do with the Junk Store. So it's still something of a mystery to me as to how we got away with putting the gag in the game that way. I do seem to recall them asking me during the bug check if it was some kind of weird glitch. 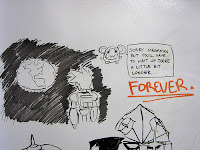 Also, the truth is that this was sort of an homage to a certain other work of which I was a fan. I changed things around a little bit, and was originally going to make it a little bit of an edgier joke, so that one of the answers you could choose was "Sumatopoppih". The joke is that the Japanese word for "hippopotamus" is "kaba", which is "baka" when spelled backwards. Baka in Japanese means something along the lines of "idiot". So it wasn't something entirely random after all! All these years I thought the Hippopotamus option was some sort of mistranslation for a legitimate name. 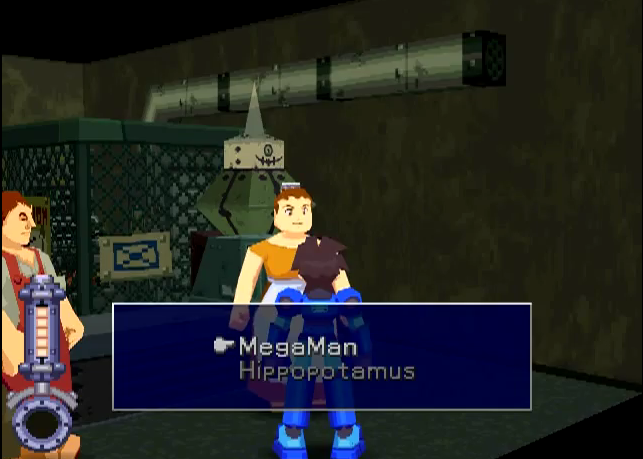 In all honesty, I've never chosen "Mega Man" as my name, always Hippopotamus. It's a habit that stemmed all the way back to my first playthrough back when I was a kid. It's funny, cute, even. Gotta love the Legends' teams sense of humor. There's a little more to the story, so head on down to the Devroom and read up! 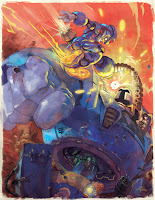 With the San Diego Comic-Con kicking off next week, UDON has lifted the Mega Man Tribute embargo, allowing artists to freely show off their work publicly. 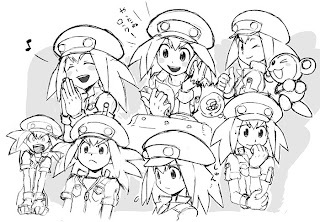 More than a dozen or so select entries were released at UDON's official DeviantArt page to mark the occasion. "TIME TO POST YOUR ARTWORK! 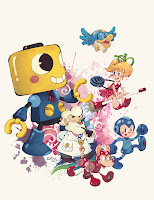 With Mega Man Tribute premiering next week at the San Diego Comic-Con, it’s time for everyone to post up your artwork on your personal blogs, websites and deviantart galleries." Depending upon the discretion of the artist, you might be able to catch even more entries before the book releases. That's not to say everyone who made the cut will follow through, but it gives them free reign to do so. No strings attached. Should you choose to publicly release your winning piece online, please drop us a link! We'd love to check out what you've got. UPDATE: Click here to check out a piece by DejitaruDavis -- laundry day! Keep checking DeviantArt for more entires! 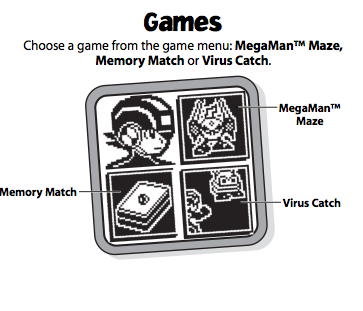 Now here's a neat little gem I've been meaning to share: an educational Mega Man NT Warrior game by Fisher-Price. Yup, the Fisher-Price. The early 2000's marked the dawn of the edutainment boom, pioneered by the likes of Leapfrog, Vtech, and Pixter. While Leapfrog and Vtech would go on to dominate the market, Pixter fell into obscurity. Despite weak sales, the platform and brand was bustling with powerful, early support from a number of hot properties.... Mega Man included. Pocket Pixter: Mega Man NT Warrior is exactly what it sounds like. Released in 2004, the device was a self contained module similar to the famous electronic PETs. 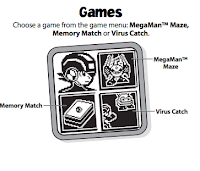 With less an emphasis on the battling but more on interactivity, the toy was centered around "educational" applications from free-style drawing to memory games. 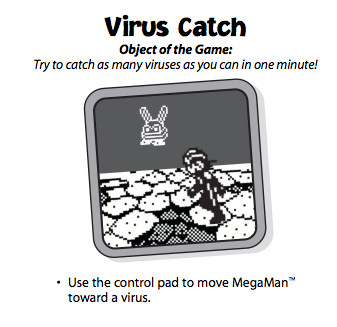 In essence, you could call it a mash up between Mario Paint and a your run-of-the-mill activity book. Though I've no actual photos of the device itself, I have the original PDF version of the toy's manual in my archives. Spanning around forty-pages, you'll find descriptions and pictures for every activity and application the device has to offer. 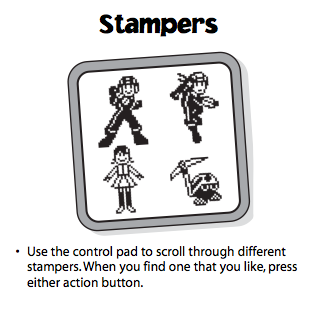 Select manual pages appear above, but if you'd like it in its entirety, you can download it right here. I've looked around for the physical device for a couple years now, but haven't churned anything up yet. My usually stomping grounds for old Mega Man goodies -- the Amazon marketplace and Ebay -- are littered with Pixter products. Unfortunately, this bad boy just so happens to be the one that no one has. Shame too because, honestly, it sounds pretty awesome. If you've got one of these in-hand, lemme know! 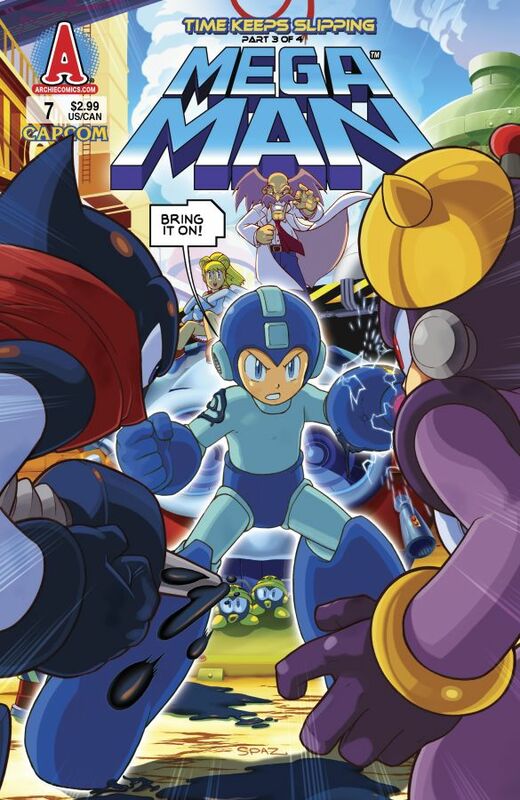 The hardcover edition of Mega Man Tribute is exclusive to the San Diego Comic, which sports a beautiful dust jacket (as seen on UDON's official site). Underneath the jacket, however, you'll find Jeffrey Cruz's art from the softcover edition. No doubt, many of us who won't be making the trip to SDCC will be missing out on the hardcover edition, and its subsequent exclusive Ariga art. 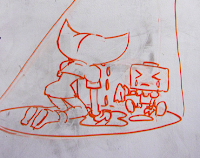 To remedy this, Ariga has created a second piece, available in both versions of the book. The piece is currently shrouded in mystery, but I've obtained an exclusive preview shot directly from Matt. 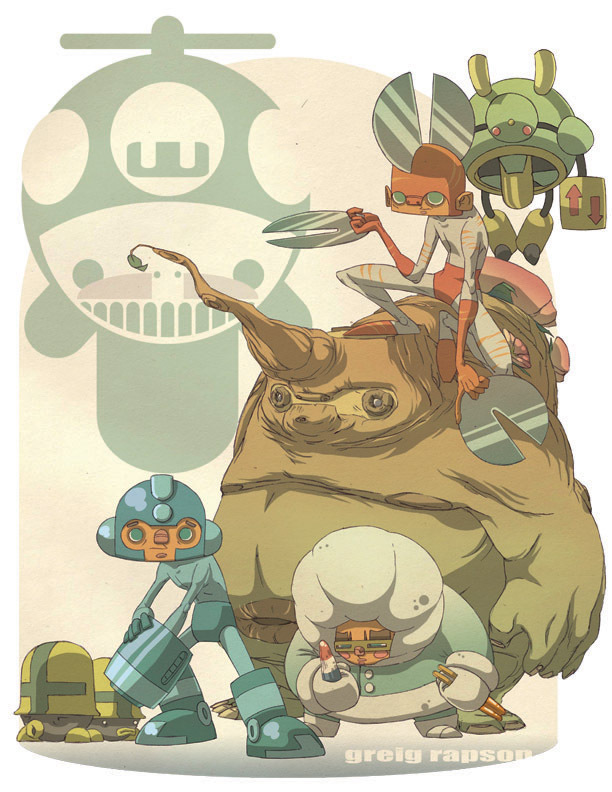 The illustration is said to feature a number of Ariga's personal favorite characters, such as Enker (pictured) and Punk. I've avoided posting this for a few hours now, but seeing that it's all the rage around the web, I figured I'd join the masses. 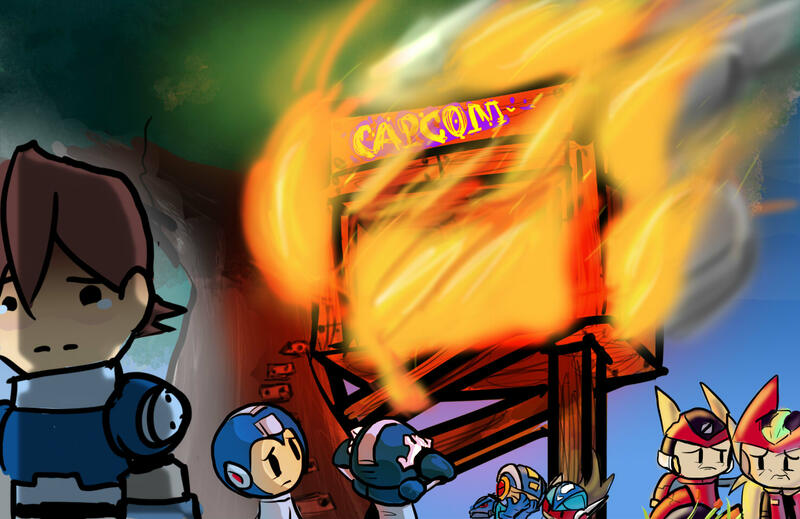 Here's the deal: Capcom removed Rockman DASH 3 from CoJ's front page. While the game's respective websites remain functional, the title is no longer showcased front and center. Mega Man Universe met a similar fate: the title was removed from Capcom Japan's website, and a few days later, it was officially cancelled. The fear that's currently setting the fandom ablaze is that this is a sign -- the supposed "first nail in the coffin" that will lead to DASH 3's cancellation. Normally, something so minor would not be a cause for concern, but the situation is all too familiar with Universe's death, and that's where fears are rooted. Before you get overly panicked, consider the following: Look at Capcom Japan's front page, look at the titles on display. These are games due for release within the confines of 2011 and early 2012. Rockman DASH 3's release date was never set in stone. What has happened, I believe, is a rational release window for DASH 3 was established internally that's beyond the scope of the company's planned 2011/early 2012 lineup. As a consequence, Capcom was left very little reason to continue promoting the game on the front page. Why upfront advertise a game that might not launch for a year at best? There's more immediate titles coming out that deserve that spot. It's a matter of prioritizing based on release dates. In short, you've got to be reasonable: given what we know about the game's development, there is no way DASH 3 will be on shelves by this fall or early 2012. Capcom has nothing to gain (at this time) from promoting the title on the front page; its release is simply too far off. There's more to be said that suggests everything is hunky-dory. For instance, all websites associated under DASH 3, both in Japan and elsewhere, remain active and online. There is no evidence to suggest the devrooms or official pages will cease operations any time soon, whereas everything Universe-related was pulled immediately. What's more, unlike Universe, we've had consistent DASH 3 updates on a regular basis. Universe was under an information blackout for over SIX months before it was cancelled. It was BLATANT something was wrong. DASH 3, however, has been shown to be alive via numerous events, contests, and postings from the game's staff. Sure, devroom posts pertaining to the actual game are growing few and far between, but I don't look at that as a bad thing. Yes, Prototype was delayed, yes the game wasn't at E3. Does that necessarily mean something horrible is happening? Not at all. Maybe this "silence" is due to the fact that the devteam is hard at work on finalizing Prototype Version for public release. Recall, the game was delayed because they wanted to solidify the final product's quality. For all we know, they're putting those finishing touches on right now. Reason for lack of real DASH 3 updates on the devroom? They've got their hands full! The devteam is seemingly relying on Kinako in the meantime to provide us with small, fun updates to keep fans both entertained and assured things are progressing. That's my two cents. In any case, I've reached out to Capcom and a close source for comment. We should, hopefully, have the official word soon. I realize this is a frustrating situation for some of you. We've poured a lot into ensuring the game would be successful, let alone come to fruition. To see it crumble before us would be utterly heartbreaking. Despite that, you can't give up ship just yet. Our negativity contributed to Universe's cancellation; our positivity will ensure a future for DASH 3. YOU are a major factor to DASH 3's success. If you want this game to happen, you've got to continue to show a genuine interest in it. Support the game and the devroom through whatever means possible... and most importantly, stay positive! Capcom Prepping "Rockman’s Sprite Logic"
Hot on the heels of Rockman: The Puzzle Battle, Capcom is gearing up to release yet another mobile phone title in Japan. 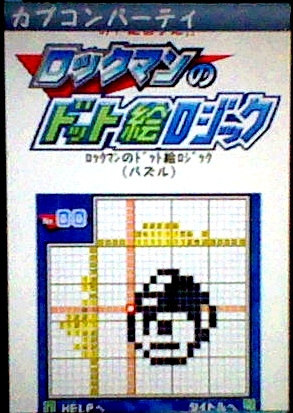 Entitled "Rockman’s Sprite Logic", the game looks to be based heavily upon Picross, a game of logic in which players must unveil a hidden image amidst a series of tiles. 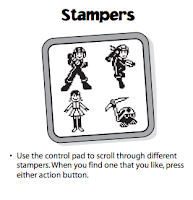 The rules of Picross are pretty simply, so there's bound to be some sort of twist to make things more Rockman-y. To put it simply, your given a grid and a series of numbers align the sides and heading. Using the numbers provided as clues, you must determine which blocks within the grid should be filled in, or left blank. 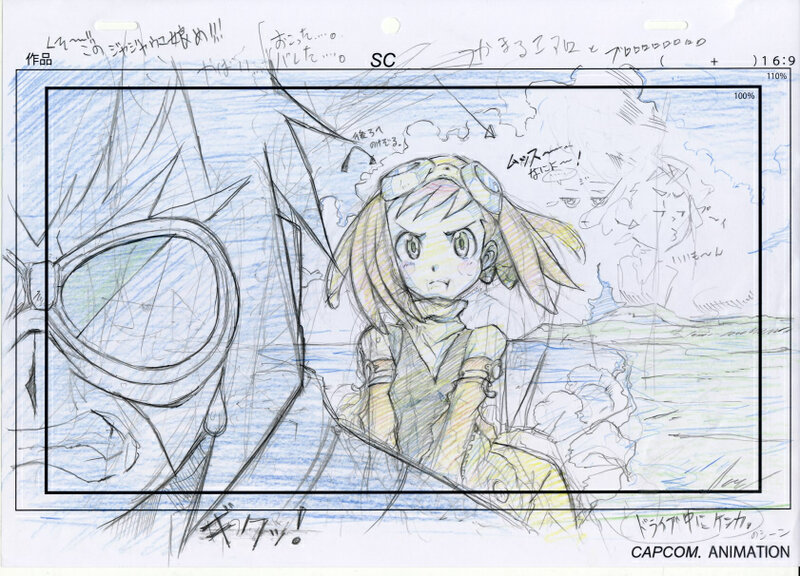 The end result is an image, and in the case of Rockman's Sprite Logic, the images will relate to Rockman characters. More about the game of Picross can be found here. Sprite Logic isn't due out until August, giving Japanese mobile phone owners plenty of time to master The Puzzle Battle before then. Expected services supporting the game are assumed to be the usual suspects: docomo, au, even SoftBank. Not much more to say than that. Thanks for the heads up, Jimb0! Just to be on the safe side, we’ll treat this as a rumor for now. 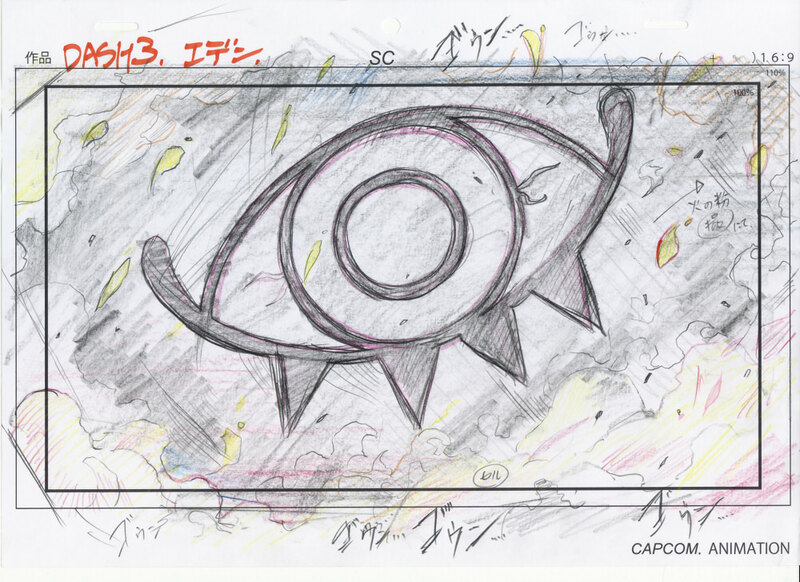 Supposedly, a series of early conceptual sketches/storyboards for Rockman DASH 3's animated cutscenes surfaced earlier today on 4chan, originating from an undisclosed source. From that fact alone, legitimacy is immediately pitted into question... but, man, do they ever look convincing. They look official, that's for sure. However, without a proper source, it's difficult to determine legitimacy. I'm afraid without additional evidence, we can only speculate for the time being. It's your call: official materials, or the product of a talented fan? As previously reported, Prototype Version will contain storyboard stills before each playable mission. 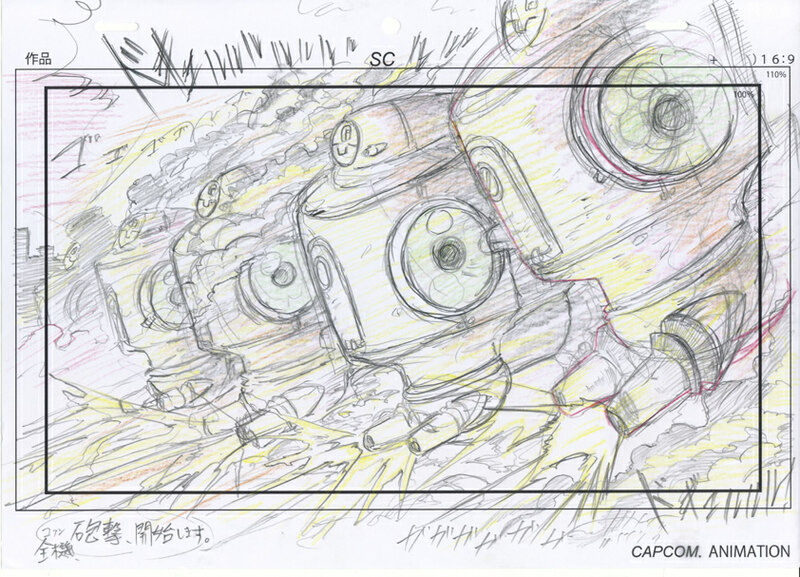 Capcom did not indicate if they intend to fully animate the stills for Rockman DASH 3 itself, however. Nevertheless, the prospect of animated cutscenes certainly seems exciting. I've always felt the series would make for an interesting anime -- its visual style alone is practically begging for it. Hopefully, we'll have an update on this soon. In the meantime, take what you see with a of grain salt. Thanks for the tip, Joesph! UPDATE: I've recieved confirmation that the images are not official. 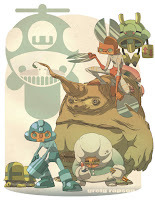 They are by Pixiv artist and Japanese Devroomer Kobun #206. 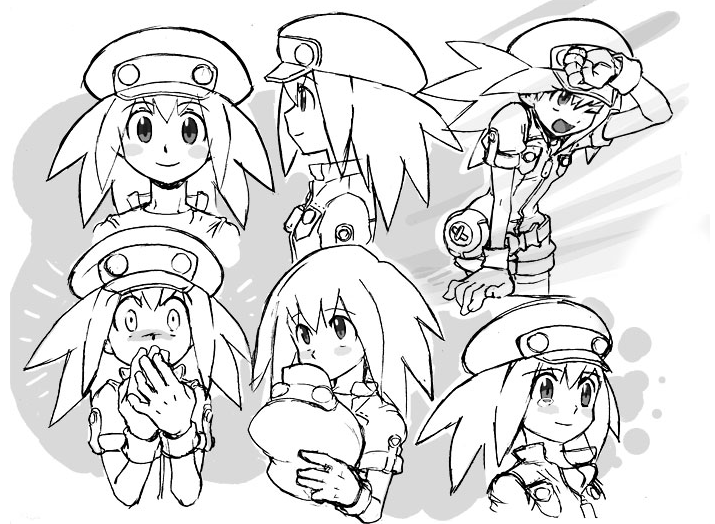 Interestingly, the artist actually intends to make some sort of DASH 3-related animation. Official, no, but you've gotta give the guy props for making these look extremely legit. Masterful work right there! Thanks for the update, Heat Man! Having received roughly 450 entries, Capcom has reached a verdict in their search for the Bright Bats' mascot. We've seen some great designs bustling with creativity from around the world, but there can only be one who stars in Mega Man Legends 3! Please give a warm welcome to Tinker the ferret! 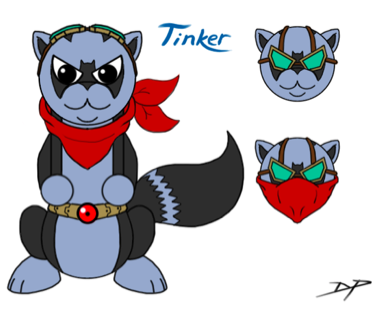 "Tinker is a mischievous little ferret that the Bright Bats found while exploring ancient ruins, where Tinker had accidentally wandered inside out of his own curious nature. When he was found, he seemed like a normal ferret except for a strange belt with a reaverbot eye around his waist. Oddly enough, Tinker seems very protective of it when people even try to touch it. When the Bright Bats took him in, they couldn’t think of a name for him until Barret noticed the curious ferret would observe Grill as he made his inventions, one day seeing him try to create something himself out of the junk Pic had collected. Barret came up with the name Tinker due to the way he would play with the parts and his curiosity." Congratulations, Espiownage! You can check out some of the developers comments at this report here. Further, please do check out the honorable mentions and runner-ups, and give them a round of applause for all their hard work. The original ZX hit retailers in Japan on July 6th, 2006, followed shortly thereafter by a September release in North America, and a June release in Europe. 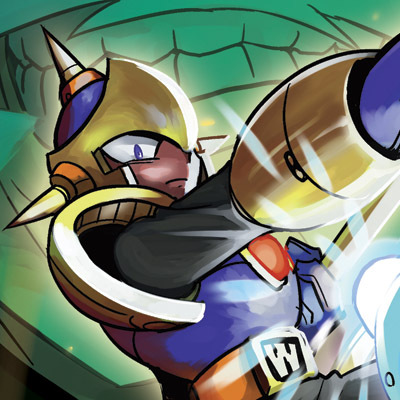 While Mega Man ZX didn't change the Mega Man formula up too much, it brought to the table some of the best qualities from both the Mega Man Zero and Mega Man X series in one sweet package. The result was a solid gaming experience that rekindled the old while embracing the new. Initial sales for the original Mega Man ZX proved the series a future, selling just a little over 94,000 units domestically. In true Capcom fashion, work began on a follow-up -- the first (and only) Mega Man sequel to not be identified by a numeric: Mega Man ZX Advent. Advent boasted a few new bells and whistles that solidified the core gameplay experience of ZX, all the while progressing the plot established in its predecessor. A cliff hanger ending awaited players who completed the game in its entirety... and ending that continues to leave us hanging to this day. Despite racking up generally positive remarks from fans and critics alike, Advent failed to perform in the Japanese marketplace. Initial sales figures were low -- far lower than that of ZX. Hopes of a sales spike were quickly dashed as the game continued to drop down the charts weeks after its release. Fearing the worse, the now-defunct Undersquare reached out for a comment from Capcom, yielding the following ultimatum: if Advent did not sell over 100,000 units, a sequel would not be made. By the end the fiscal year in '07, Advent only managed to move some 63,000 units in Japan, shattering the prospect of ZX3 in the process. A year later, the series' status was official deemed "too be determined." 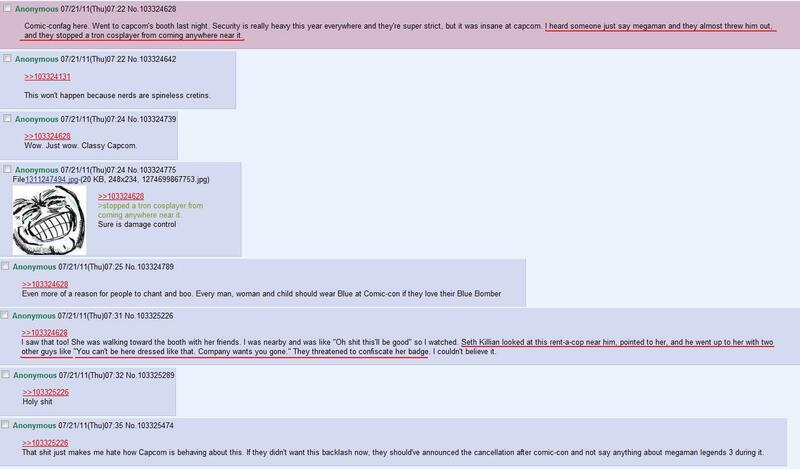 It's 2011 now, and not a peep has come from ZX. No games, not even some form of merchandise: no new soundtracks, model kits, little trinkets or shirts. 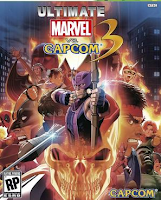 No longer viable to the company, the series faded into the shadows of obscurity, given little, if any, official recognition from Capcom presently. Demand for a third entry in the series remains unwavering today, and if Legends 3 can prove anything, nothing is impossible. As I always say when it comes to these things, rally the troops. Make some noise. Capcom has, and continues, to listen closely to our fanbase. Thought it may not always seem like it, they are gauging your comments and feedback for the franchise's long-term road map. Where ZX fits into that plan is all up to you. In any case, today is day a day to celebrate what ZX was and what it could be. Bust our copies of ZX and Advent, kick your feat up and enjoy. If you've yet to play these games, I implore you to give 'em a shot -- they're worth, at the very least, a try. 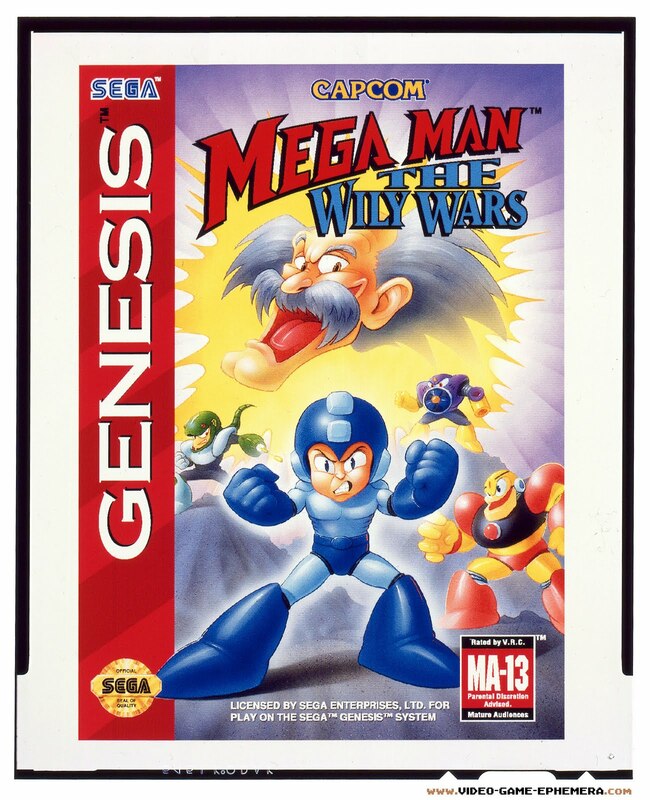 If your personal Mega Man collection is in need of a trophy piece, look no further than this: a legitimate film transparency of the unused North American Wily Wars box art. Currently up for grabs on Ebay, you're looking at proof of Capcom's early intentions to release Wily Wars on a physical cartridge in the states. And it could be yours. "For whatever reason, Mega Man: The Wily Wars was never released in North America. It was available for download through the cable TV-based Sega Channel system, but it was not sold here in cartridge form. But that’s not to say that Capcom USA never intended to produce physical copies of the game. When it was originally announced, the company sent a 4x5” transparency of the game’s official North American box art to our offices at VideoGames magazine. 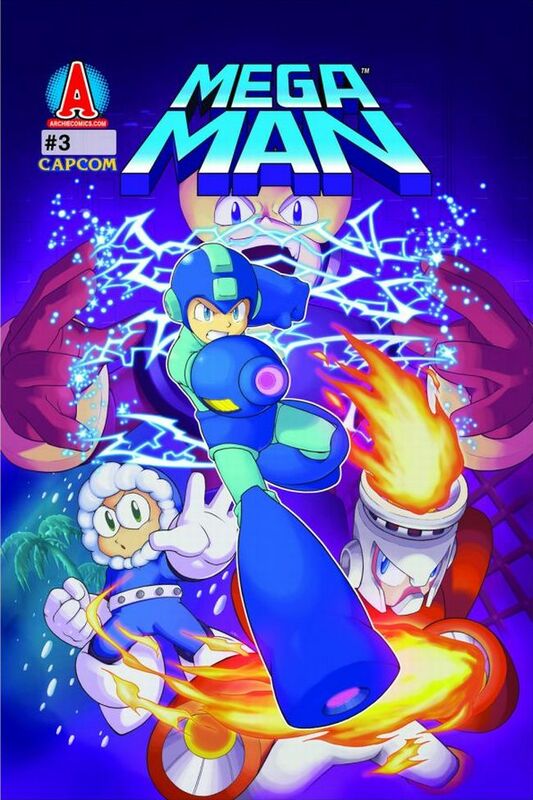 It’s an interesting illustration in the grand tradition of off-model Mega Man box art. 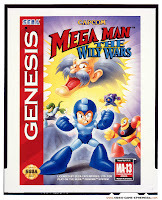 In fact, when a lower-resolution copy of this image appeared online several years ago, there was some debate among Mega Man fans as to whether this was the real Wily Wars U.S. box or just a clever fan-art forgery!" How much will this fine piece of Mega Man history run you? The seller is asking for $110 (free shipping! ), but is willing to negotiate via "Make Offer." Bear in mind, you're not getting the boxart itself but the actual film strip that would have been used to mass produce copies of the art had the game released on U.S store shelves. Pretty cool, if I do say so myself. If this is something up your alley, feel free to check out the complete auction here. Thanks for the tip, Jake! The kind netizens of Nico Video have ripped an uploaded Rockman: The Puzzle Battle's soundtrack in its entirety. Spanning roughly fifteen minutes, the soundtrack is comprised of newly arranged pieces from Rockman 1. Have a listen! Like what you hear? 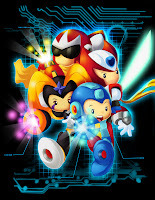 You can download the individual songs via The Mega Man Network. Personally, I think it's a rather nice score, especially for a mere mobile title... and a puzzle game, at that! Of course, one can't talk about Puzzle Battle without some mention of its artwork -- the icing on the cake. Its visual style is definitely something I'd like to see in a future game, IMO. It'd make for an interesting change of pace from the recent pure 8-bit ventures. Maybe it's just me, but I can't quite imagine a Mega Man 11 with entirely 8-bit visuals again. It was unique the first time around, but a third retro-infused outing might be pushing it. I sort of envision Puzzle Battle's style as a middle ground when it comes to nostalgia; it's retro, but just modern enough to appeal to (mostly) everyone. Mega Man 11 might just benefit from mixing things up a bit visually. Something along the lines of the above might be the safest, and more "faithful" route to go. You can't please everyone, but hey, it's something different. 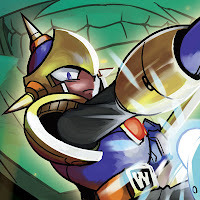 "Starting as the just hero we know him as, Mega Man travels through darkness in two familiar forms–doubt and greed–until he is able to recover the light (thanks to a good father-son chat with Dr. Light, and a comedic scolding from Roll). And with this, Mega Man re-emerges as a hero. 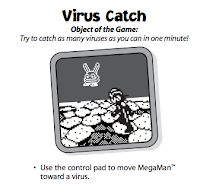 It’s truly fascinating to realize that after 25 years of Mega Busting, not once has this iconic video-game hero been given as much character as he has in the last 96 pages. It’s obvious why Archie has been so successful for nearly two decades with the Sonic franchise, and it fills me with indescribable joy to see the same happening to Mega Man." With only three issues under their belt, Archie has done a satisfying job at translating these beloved characters and events into comic-book format. The future certainly looks bright for this comic venture! For the full review (with preview pages! ), head on down to Steven Chase & His Silly Pretentious Brain! Rockman: The Puzzle Battle hit mobile phones in Japan a couple days back, and sure enough we've got some footage to share. The video quality isn't the best, but its bearable -- good enough to make out the gist of it. - E-Tanks can be found amidst the puzzle board. Using them regenerates Rockman's HP. 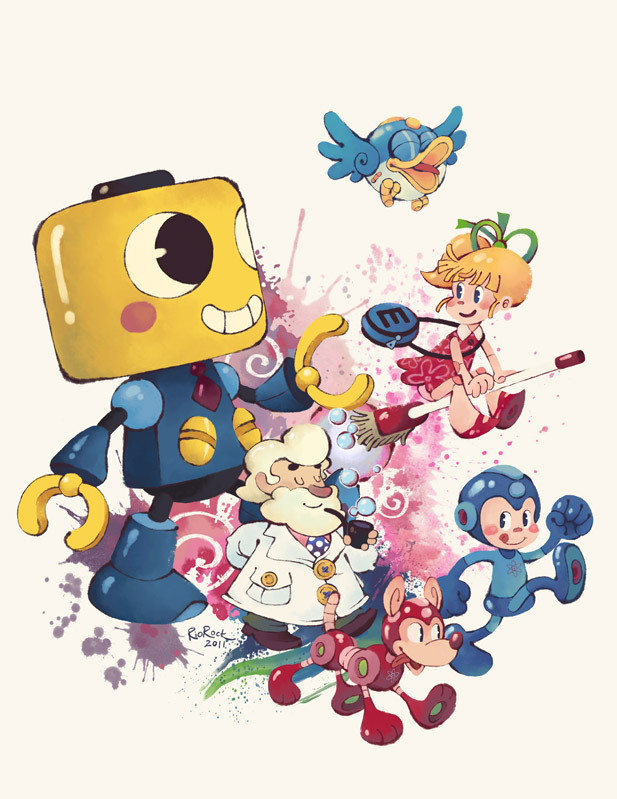 - In addition to the six Rockman 1 Robot Masters, other opponents include the Yellow Devil, Copy Bot, and Dr. Wily. - Special Weapon energy gradually recovers over time. There are no recover items for Special Weapons. Cocorgo went on to praise the game's art style, which evokes a sense of nostalgia while conforming to what is considered cool and cute by today's standards. Hey, I'm a fan. As it stands, the Puzzle Battle, like many mobile titles before it, is exclusive to Japan. 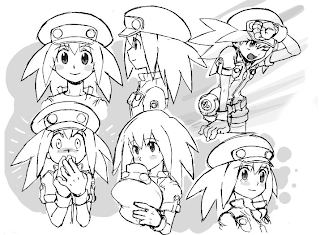 Rockman DASH 3 art director Yuji Ishihara has shared a few pieces of conceptual art for Roll Casket, faithful companion and Spotter to Rock Volnutt, on the Japanese Devroom. 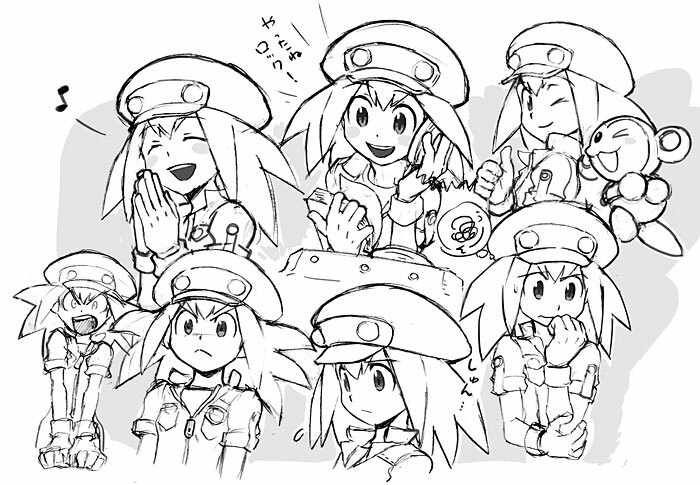 The sketches show off just how dynamic of a character Roll is via her wide range of facial expressions, and a better look at her new apparel. The art was accompanied by a few words from Ishihara, though I'd better leave the translating to Greg over at the English Devroom. A translated post should be up there within in the day. I'll update when it happens, but for now, do enjoy the art! UPDATE: English translation now available! Click here to check it out!